Ryan Bradley wants to support the Whitesbog Preservation Trust and Pemberton TAG (Township Alliance Group). Lenape High School junior and longtime Boy Scout Ryan Bradley might as well be running toward the rank of Eagle Scout. 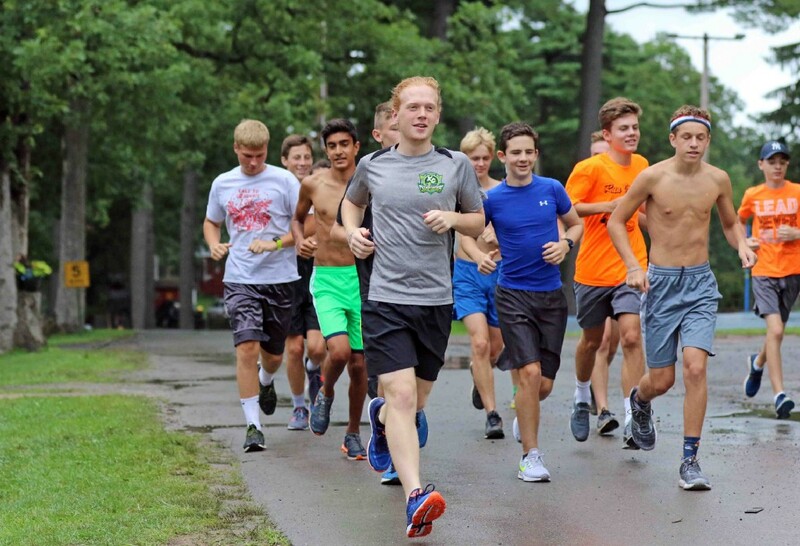 Running is the keyword, as the Lenape track and field and cross country athlete is organizing a 5K Run and One Mile Walk on Nov. 17 for his Eagle Scout Service Project. The run, which will be held along the dirt roads of Whitesbog Village and Brendan T. Byrne State Forest in Browns Mills, will raise money to support the Whitesbog Preservation Trust and Pemberton TAG (Township Alliance Group). The trust is a nonprofit group that works toward preserving the historic Whitesbog Village — the company town and farm started in the early 1900s, which for a time served as the largest cranberry farm in the state. Today, Whitesbog Village is listed on both the National and State Registers of Historic Sites. As for the Pemberton TAG program, the group promotes wellness and works to prevent the abuse of alcohol, tobacco and other drugs among teens. For Bradley, he said he chose to hold his 5K Run and One-Mile Walk for his Eagle Scout Service Project to try to reflect his love of running. “It’s much more direct in how you progress in the sport than other activities,” Bradley said. 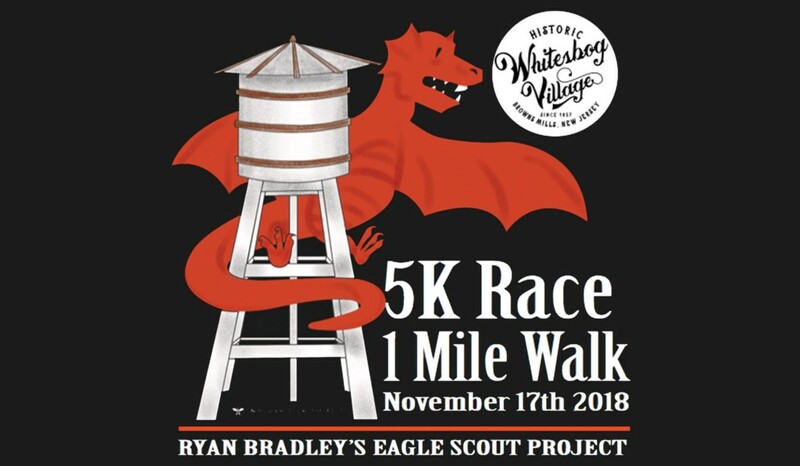 Local student Ryan Bradley, pictured running in a gray shirt and black shorts, is seeking the rank of Eagle Scout with his upcoming and 5K Run and One Mile Walk fundraiser to support the Whitesbog Preservation Trust and Pemberton TAG (Township Alliance Group). As for deciding to become an Eagle Scout — the highest designation possible in Boy Scouts — Bradley is following in the footsteps of his older brother Evan Bradley, who several years ago became an Eagle Scout through his project of running a food drive for the Gift of Life Family House in Philadelphia and then re-organizing the group’s pantry. Having been involved with Scouting since first grade, the younger Bradley brother said he’s gained lifelong skills such as responsibility, problem solving, and as of recently, project management. “The ability to stick with something, no matter what you’re doing, is an imporant thing to have,” Bradley said. Looking toward the future, Bradley said he hopes to attend an art college due to his love of independent, online animators. Bradley’s 5K Race and One-Mile Walk will take place on Nov. 17 at 120 W. Whitesbog Road in Browns Mills. According to Bradley, registration for the 5K run will cost $20, with a special discounted price of $10 for ages 17 and younger. Registration for the one-mile walk will cost $10, with the price remaining the same for individuals or entire families. The first events of the day will be the 5K Run and a Kids Dash, each starting at 10 a.m. Registration for the Kids Dash is also $10 per entrant, with the event open to kids ages 4 to 8. Awards will be handed out following the last runner to complete the 5K course. Then, at 11:15 a.m., the one-mile walk will begin. Although Bradley is a runner at heart, he said the walk is there for anyone interested in supporting his project. To register for the event online, visit https://runsignup.com/whitesbog5k. Online registration will close after Nov. 16. Registration on the day of the event will be open from 7:30 to 9:30 a.m.